I started bowling in 1953 when I was 6 years old. In those days, the only lightweight bowling balls were 8 pound balls that were 1/2 the size of a regular ball. I shot a 66 for my first time. I used to see Bill Lillard on TV and tried to bowl like him - follow-through and all! I went to several alleys on Chicago’s north side and always had to wait a few minutes while they were “waking up” the pinboy. 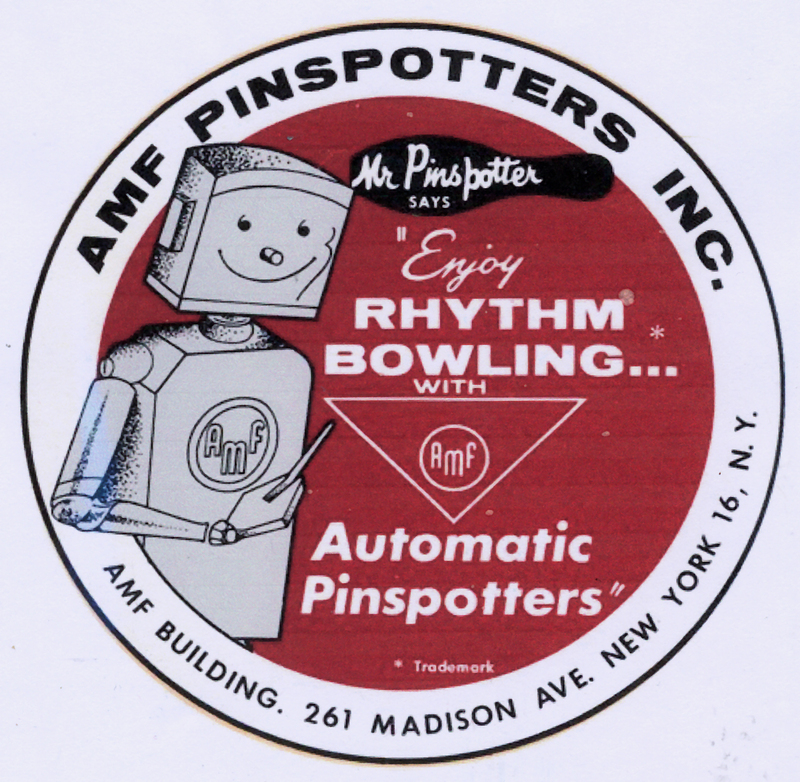 There weren’t a lot of bowlers on weekend afternoons in those days and there was usually only one pinboy who always seemed to be taking a nap when we (my father & I) arrived. It cost 25 cents per game and shoe rental was 10 cents. One day in late 1953 we went to Theater Bowl (16 lanes) in Chicago. We walked in & there were lots of people bowling and no pinboys! They had just installed AMF Pinspotters. We hadn’t read about it and were amazed at what we saw. As a 6 year old, I was a little scared - I thought there were robots (like from a science fiction movie) in the back of the alleys. The management let us go in the back & look at the machines. We were amazed at the ingenuity of the mechanisms. After that day, I went on a life-long quest to find out more about the machine & it’s history. A year later, many of our local alleys still had pinboys. One day, I finally got to see a Brunswick B-10 “semi-automatic” pinsetter close up. I was amazed at that machine too. I thought if I had been born 15 years earlier, I would have become a pinboy! Then, in early 1955, construction of a new building was started right across the street from where I learned to bowl (an 8 lane center called Markay Recreation). 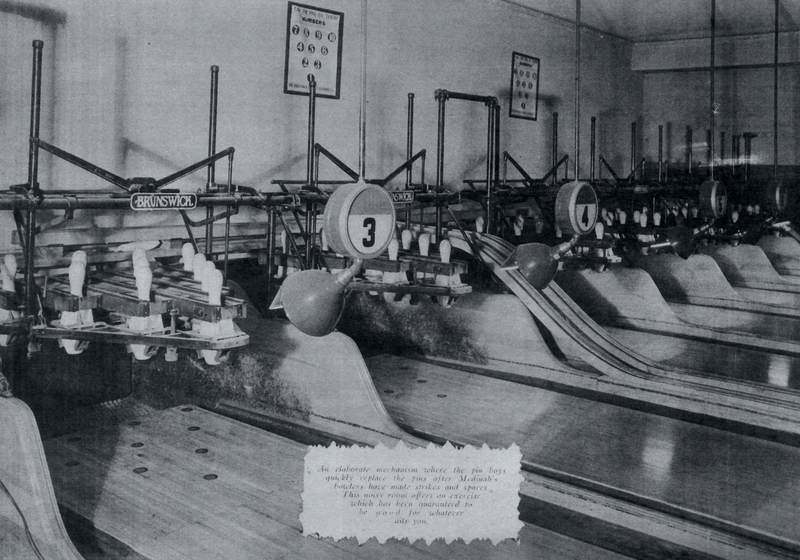 This new building was to become Sunset Bowl - a “state of the art” (for 1955) Bowling Center. Literally a day after it was completed we went to check it out. It had underground ball returns and light purple colored gutters. It was 32 lanes in a row. After bowling at old, dimly-lit alleys - Sunset Bowl looked so futuristic! The older alleys went out of business one by one. And all the new “behemoth” centers were being built around the country. Now, in the 21st century, a lot of us fondly remember those old “quaint” alleys. They had a very strong smell of shellac and varnish and they were all so different looking from each other. They all had their own character. One of the Chicago lanes called “Bowlium” had a gigantic mural of Rip Van Winkle along one of their walls. There’s still a few places left with the pinboys. One (in Chicago) is Southport Lanes. They have 4 alleys (the original alleys from the 1920’s), a billiard room and a bar. But unlike the 25 cents a game of my youth, it now costs $300 an hour to rent for parties - and food is extra! But it’s a real “blast from the past”.